For the sixth year since the first time ever promoting of a Global Exhibition, there will be a Global Exhibition at the time of Global Dialogue 2012, and at the same site in Nanaimo. 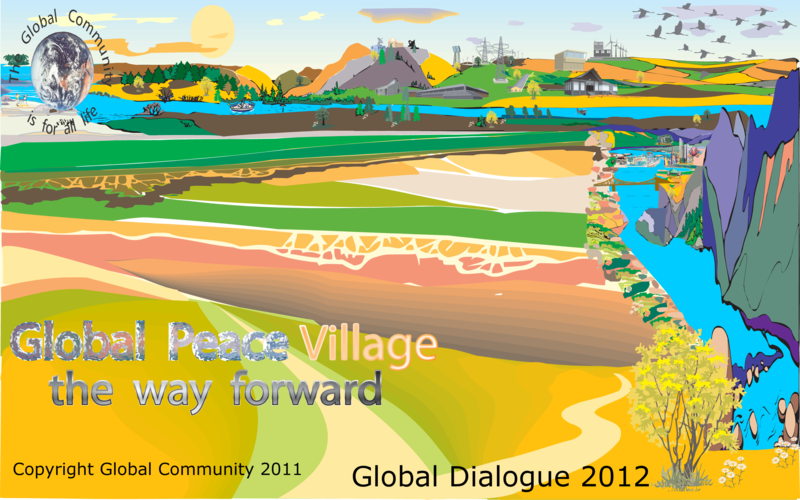 It will also be occurring anywhere else in the world along with Global Dialogue 2012. The Global Exhibition is a replacement to the usual Trade Show we have been promoting during each previous Global Dialogue. 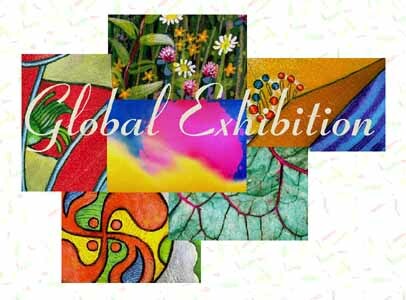 The Preliminary Program to the Global Exhibition will be the same as that of Global Dialogue 2012. Earth Government aims at replacing the United Nations. That is truly a Revolution. If true revolution changes the rules on how to change the rules, then we must arrive at terms that transform the very concept of the exhibition. Although a few criteria for inclusion based on identity and geopolitics have developed, the art world is still heavily commodified, and an artist without a sales (and therefore publicity) base in the developed word--or a curatorial support network in the world's "periphery" -- is not going to be included. Further, the new terms of engagement may be geopolitical, but work from the "First World" must have a powerful aesthetic surplus or an antically unrecognizable political dimension in order to gain access. So many artists are doing serious work with directly political themes but do not see themselves included in these shows -- and would not expect themselves to be-since the public visiting such exhibitions is not their audience of interest. Granted, the flattened terrain of modern communications is bringing the interlocking worlds of art production and display into closer proximity, so it would not be correct to claim that work with direct political address will always be left out. But is it still necessary to point out that while "geopolitical" can have the cover of a prefix to cover its political nature, the politics in question bad better be far, far away? The art world -- a congeries of professional services along the lines of dentists, doctors, and professors on the one hand and high-end showrooms like ear dealerships on the other--consistently offers the modernizing elite a compass for understanding cultural and social "facts" as they impinge on their consciousness. The global exhibitions serve as grand collectors and translators of subjectivities under the latest phase of globalization. But as we move between disparate colonialist eras, what is plain about the present moment is that there is no dearth of images of the colonized Other in public view, despite only a little more insight -- and that quite momentary -- into the interior lives of others than in the previous colonial moment. The elite in question, especially in the North and in developed industrial and postindustrial nations (which includes, perhaps, the antipodean South), may have a taste for edification via these new Crystal Palace expositions. And why not?